Following the rebate programs for energy-efficient car purchases and for solar energy projects, states are now offering rebates for energy- efficient appliance purchases. According to an article in Sunday’s Hartford Courant, $3.4 million dollars will be distributed during the Connecticut program, which began yesterday and continues through April 30. 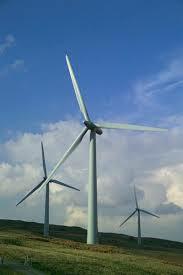 It is part of a national $296 million stimulus program administered by the U.S. Department of Energy. Rebates, ranging from $50 to $500, are available for specific Energy Star appliances. The list of qualified appliances includes refrigerators, clothes washers, and freezers. When discussing the program with my parents, who bought a new washer and dryer two or three years ago, they said they wished they waited to make those purchases. I’m sure many other homeowners in Connecticut feel the same way. There a few restrictions to this program. Appliances must replace existing models to qualify. Also, appliances purchased before yesterday are ineligible. I just have one more question: Why is this program temporary? I feel that it would have a greater impact if it lasted for a longer period of time. The article says that it is unknown whether these funds will be replenished. Why isn’t this a certainty? I don’t understand why more money hasn’t been invested in this program, especially since environmental issues are at the top of Obama’s agenda, but it seems like this is a trial period for the program. The program has an interesting concept, but there are a lot of questions I have left unanswered. If you are interested in the program, go to www. ct.gov/opm/appliance rebate for more i nformation and rebate forms. If you need a form mailed, call 1-877-947-3873. Connecticut, the richest state in the country, is not widely recognized for its environmental efforts. That will hopefully change soon. The city of New Britain became the first school district in the state to make its bus fleet green by purchasing a hybrid school bus in April. According to a recent story in the Hartford Courant supplement, “I-Towns” , the bus uses up to 65 percent less diesel fuel than a typical school bus. The bus gets its power from an outlet at the high school and its battery recharges through the solar panel array on the roof. New Britain’s purchase of the hybrid bus is directly in line with President Obama’s environmental agenda, which urges the use of alternative energy sources. According to the website, childrentoday. 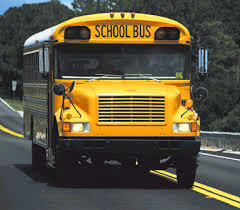 com, school buses are potentially dangerous and harmful to school children because the diesiel exhaust comprises various cancer-causing agents. Saving the environment comes at a cost. Although hybrid school buses are more environmentally friendly, they are also more costly than regular school buses. The grant used to purchase the bus was acquired through the Connecticut Department of Transportation’s Clean Fuel program and cost $105,600. That’s a lot of money for one school bus, but surely the richest state in the union can handle the cost, right? Since the economy is very unstable right now, some feel that this wasn’t a sound investment. Personally, I have seen the benefits of green technology and I think New Britain made a wise purchase, but only time will tell. I think other school districts in the state should follow New Britain’s lead. Although global warming has been high on Obama’s presidential agenda, his administration hasn’t endorsed the climate and energy change proposal sponsored by the Democrats yet. According to a recent New York Times story, the 348 page proposal was unveiled last month and is in the process of being reviewed. If accepted, the measure could potentially create jobs and reduce greenhouse gas emissions. The House measure would require large changes in the way the United States generates electricity, manufactures products, heats and lights its offices and homes and moves people and goods. One central provision of the proposal is a cap-and-trade program that will limit greenhouse gases, a measure that Obama has been pushing since the beginning of his presidency. Under cap-and-trade, the government sets an overall limit on emissions while allowing companies to trade allowances to pollute. Many House Democrats have rejected the proposal, finding that it will cause job losses rather than creating new jobs. They also feel that the bill will result in higher energy costs. According to the New York Times, the draft is slightly flawed because it doesn’t address two key issues. For one thing, it doesn’t say how many of the allowances the government will give away, if any, and how many it will auction. The legislation also fails to mention what will be done with the profits from the auctions, which Obama estimates to be worth at least $65 billion a year.